The remains left behind by cremation would correspond to about 5 % of the corpses’ non-decomposed weight and 6 to 8 % of the wood weight, according to Mattogno, Graf & Kues. With the exaggerated corpse weights and enormous amounts of wood they claim (see section 3), this allows them to argue that the volume of ash (assuming specific weights of 0.5 g/cm³ for human ash and 0.34 g/cm³ for wood ash) would, in some camps at least, have exceeded the established or estimated volume of the mass graves. With the more realistic corpse and wood weights explained in section 3, on the other hand, the problems that Mattogno and his colleagues make so much of become rather insignificant, as shown in Tables 5.1 and 5.2 below (which, like all tables in this blog, can be enlarged by clicking on them). The average portion of the grave volume occupied by human and wood ashes is about 11% in Table 5.1 and 13% in Table 5.2, Bełżec being the camp with the highest density of buried ashes (16 % respectively 19 %). One should however bear in mind the possibility that the residue percentages considered in the above tables are too low, because combustion on the extermination camp pyres was not necessarily as complete as would correspond to such residue percentages and there are also data from open-air carcass cremation pointing to higher amounts of residue. According to a document from the British Environment Agency (EA) referred to by MGK , a typical pyre for 300 cows at the time of the British Foot & Mouth Disease Crisis in 2001 included 175 tons of coal, 380 railway sleepers, 250 pallets, four tons of straw and 2,250 liters of diesel. Such a pyre could leave 15 tons of carcass ash and 45 tons of other ash to be disposed of. Assuming that each cow weighed 500 kg, the original carcass weight was 150 tons, i.e. the carcass ash amounted to 10 % of the original weight. The other ash amounted to 300 kg for each ton of carcass burned. Table 5.3 contains a calculation of the presumable original weights per ton of carcass of the substances used for burning the carcasses and the corresponding residue after cremation. The wood equivalent of the coal, straw and wood used for cremation was calculated on hand of each substance’s heating value in BTU, in order to establish the weight of wood residue, calculated as the weight of wood residue that would accrue if all flammables left the same amount of residue (which is unrealistic insofar as coal leaves a higher percentage of residue than wood when combusting). The diesel oil was left out of the calculation as its residue is assumed to be negligible. The weight of ash other than carcass ash per ton of carcass burned is 191 kg in the above table, 109 kg short of the 300 kg per ton of carcass reportedly left by a typical pyre according to the EA. So if the EA’s data are accurate, the residue left by the coal, straw and wood burned must have been somewhat higher than considered in Table 5.3. In the next table (5.4), the assumed residue ratio for these substances is multiplied by a factor so as to yield 300 kg per carcass, raising the coal residue ratio from 0.13 to 0.20 and the wood and straw residue ratio from 0.10 to 0.16. Dividing the 300 kg of other-than-carcass ash by the 2,137 kg of wood corresponding to the flammables (except the residue-neutral diesel) used per ton of carcass in these pyres yields a theoretical wood residue factor of ca. 0.14, vs. a carcass residue factor of 0.10. As mentioned in section 3, MGK tried to use IAEA guidelines for carcass burning to support the wood-to-carcass weight ratio that underlies their wood requirement calculations, conveniently omitting the fact that the ash figure given by Mercer et al, 350 kg per ton of animal, is not just carcass and wood ash but also includes coal ash. In Table 5.5 below the exercise done in Table 5.3 is repeated considering Mercer et al’s figures for amounts of external flammables and total amount of residue. One can see that the residue weight per ton of carcass calculated with the same assumptions (317 kg including the carcass ash, 217 kg without it) falls short of the 350 kg mentioned by Mercer et al. As Mercer et al – unlike the EA – give no separate weight for the carcass ash, their total residue weight of 350 kg can be reached in two ways: by leaving the carcass residue unaltered and assuming a higher amount of coal and other ash (Table 5.6) or by assuming a higher carcass residue (Table 5.7). The calculated wood residue factor is 0.13 in Table 5.6 and 0.11 in Table 5.7, whereas the corpse residue factor is 0.10 in the former and 0.133 in the latter. The calculations in Tables 5.6 and 5.7, incidentally, show that the amount of residue stated by Mercer et al is compatible with my earlier wood equivalent calculations based on their article, which yield a wood-to-carcass weight ratio of about 2:1, rather than with MGK’s conveniently oversimplified calculations mentioned in section 3 yielding their desired, much higher ratio. The residue factors for carcass ash and wood ash from Tables 5.4, 5.6 and 5.7 were applied to calculate the amounts of cremation remains at the extermination camps, instead of the lower residue factors considered in Tables 5.1 and 5.2. The results of this exercise are shown in Tables 5.8 and 5.9 below. The concentration of ash would be considerably lower if the burning was carried out mainly using flammable liquids rather than wood, in which case cremation remains would mostly be of human origin. There is evidence that this was indeed the case. At Treblinka, according to Judge Łukaszkiewicz' protocol dated 29 December 1945, examination by an expert in forensic medicine of the ashes spread across an area of about 2 hectares together with bones, skulls and other human remains revealed that "the ashes are without any doubt of human origin (remains of cremated human bones)". At Bełżec, coroner Dr. Pietraszkiewicz found that the ash he examined was predominantly of human origin and only a small part came from wood. Even if substantial amounts of wood were used, on the other hand, the density of cremation remains in the mass graves must have been lower at the time of the camps’ dismantling than results from the above calculations, because cremation remains were not always returned to the burial pits. At Sobibór ashes from the cremated bodies were used as fertilizer for vegetable plots, mixed with sand and spread out across the soil, or taken out of the camp area. Regarding Treblinka there is evidence that cremation remains were not always buried in the emptied mass graves but also moved outside the camp area (see section 2.3). Regarding Bełżec, the scattering of ashes in fields and woods near the camp is mentioned by at least one witness. One can suppose that the ashes filled the pits completely, and only a very thin layer of surface soil was used as a cover. Therefore during the camp closing in 1943 year and levelling works taken up at that time, as well as robbery digs around the camp area directly after the war, the most part of body ashes was placed over the surface, and even now the presence of burnt bodies' traces is quite clear in the surface structures, particularly in the western and northern part of the camp. In those very parts the zone of graves was located. These facts make it somewhat-less-than-relevant to argue that the concentration of cremation remains found in archaeological investigations of mass graves is lower than would correspond to human cremation on the evidenced scale, but Carlo Mattogno nevertheless indulged in this exercise regarding Bełżec. In his Bełżec book Mattogno claimed that "the graphs of the analyses of the 137 drill cores presented by Kola show that the ash in the graves is normally intermingled with sand, that in more than half of the samples the layer of ash and sand is extremely thin", and that furthermore "out of the 236 samples, 99 are irrelevant, and among the 137 relevant ones more than half show only a very thin layer of sand and ash, whereas among the remainder the percentage of sand is not less than 50%, and the thickness of the sand/ash layer varies greatly". However, he never undertook to explain how he had managed to determine, on hand of the schematic representations of core samples in Prof. Kola’s book, how high the ash content detected in each of the samples shown was. Instead he claimed that the cover layer of the Bełżec mass graves after they were refilled with sand and cremation remains must have been two meters thick and therefore, according to his calculations about the area of the Bełżec mass graves identified by Prof. Kola, more than half of the mass graves’ volume would have been occupied by soil not mixed with cremation remains (the cover layer) whereas the layer below the cover would have mostly or almost exclusively consisted of such remains. Such concentration of cremation remains in the lower half of the mass graves, in turn, would be incompatible with Prof. Kola’s finds which, as Mattogno claimed without substantiation, suggest moderate to modest rather than high concentrations of cremation remains in the mass graves. Mattogno’s claim about the thickness of the cover layer – based on my quote of what Arad wrote about that layer at Treblinka, not Bełżec – is belied by the report about the excavations at Bełżec directed by judge Godzieszewski’s on 12 October 1945, according to which there were layers of cremation remains well above two meters below ground, which cannot have been the result of robbery digging alone. An originally thin cover layer of sand was also the conclusion of Prof. Kola (see above quote), whose findings about a resulting noticeable presence of human cremation remains above ground throughout the Bełżec site Mattogno challenged by amusingly claiming that he and Graf had seen no such traces when they visited the site in 1997. This argumentation, on the other hand, didn’t keep Mattogno from invoking the scattering of cremation remains throughout a large part of the camp area, as described by eyewitness Stanislaw Kozak, to call in question the accuracy of Prof. Kola’s conclusions regarding the area and volume of the mass graves. Like other "Revisionists", Mattogno has no problem with arguing on both sides of his mouth. As concerns Sobibór, MGK reduce the amount of cremation remains in that camp’s mass graves by creatively interpreting their translation of Prof. Kola’s descriptions of these graves. Prof. Kola’s translated statement that "Particularly noticeable traces of cremation occurred in the lower parts of the graves where distinct layers of scorched bones, with a thickness up to 40-60 cm, could be identified" is first decried as contradicting the archaeologist’s description whereby the lower parts of graves nos. 3, 4, 5 and 6 contained not cremation remains but corpses in wax-fat transformation (apparently it didn’t occur to these keen text analysts that Prof. Kola, as the context of his quoted statement suggests, is likely to have meant the lower layers of cremation remains in graves nos. 1 and 2, which he considered to have been used for cremation only, and the layers closest to the corpse layers in the other graves, which after all were up to 5.80 meters deep). Then MGK swiftly convert Prof. Kola’s "particularly noticeable" traces of cremation into the only such traces that were found in the Sobibór mass graves, further ignore that Prof. Kola said nothing about how many "particularly noticeable" layers of cremation remains were in the lower parts of the graves, and postulate that each mass grave contained only one layer of cremation remains, which they generously assume to be 50 cm thick. Considering the graves’ area of 3,210 m², this would mean "(3,210×0.5=) 1,605 m3, equal to (1,605×0.4=) 642 tons, corresponding to about 34,500 corpses." Apart from being based on a conveniently creative text interpretation, these calculations (which MGK furthermore proclaim to be a "somewhat unrealistic hypothesis", without explaining why) don’t help their case, especially if one considers the cremation residue calculations in Tables 5.1 and 5.2, which are based on corpse and wood weight assumptions more realistic than those of MGK. For 1,605 m³ of corpse and wood ash is not far below the amounts calculated in these tables as corresponding to the corpses of all Sobibór victims - 1,642 to 1,992 cubic meters. 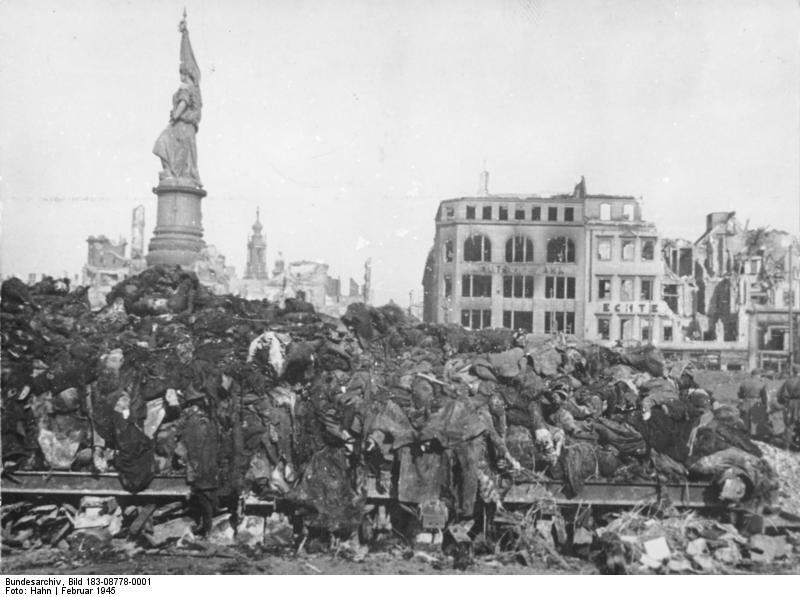 And it is quite possible that, as established by coroner Dr. Pietraszkiewicz at Bełżec, and as must have been the case on the Dresden Altmarkt considering the rather small amounts of wood one sees under the grate in Image 3.2 of section 3, cremation ashes are predominantly of human origin also at Sobibór. The cremation of the bodies of the dead constitutes in and of itself neither proof nor evidence in favor of the official theses, because this was the practice in all concentration camps and had a well-established hygienic function. In the area of the Bełżec camp, Kola’s findings show that, along a line linking grave 3 and grave 10, about two-thirds of the length of the camp,284 the groundwater level was at a depth of 4.80 meters.285 In the area below, toward the railroad, this level was obviously at a smaller depth; in the area of grave 1, it was 4.10 meters.286 It is probable that the cremation had to do with the danger of contamination of the ground water, as I have discussed elsewhere.287 Fundamentally, however, one cannot exclude the explanation adopted by the official historiography, while giving it a different interpretation. If the Soviets had discovered mass graves full of corpses dead of disease or malnutrition, then they would certainly have exploited them for propaganda against the Germans, as the latter did in Katyn and Vinnytsya against the Soviets. If, as Mattogno claims, the cremation was related to avoiding contamination of the ground water (this was actually the reason why cremation replaced burial as the body disposal method at Sobibór starting October 1942, see section 2.2), then why were the mass graves dug as deep as the ground water level in the first place, although for "several thousands, perhaps even some tens of thousands" of dead bodies one really didn’t need pits that deep? The pits near Treblinka I labor camp, regarding which Mattogno conceded "circa 6,800" corpses in a feeble attempt to explain away the Wehrmacht local commander of Ostrow’s complaint about the unbearable stench from the corpses of the "not adequately" buried Jews at Treblinka were only as deep as or not much deeper than the proverbial 6 feet below ground, besides having a much smaller overall area than the mass graves at Bełżec. The major concentration camps run by the SS-Wirtschaftsverwaltungshauptamt may have had cremation ovens, but Bełżec was not one of those concentration camps. Smaller sub-camps of the major concentration camps had no cremation facilities, and there are also no reported cases of open-air cremation from these camps that I am aware of, except for a bungled last-minute cremation attempt at Ohrdruf concentration camp shortly before US troops reached the area. The same goes for prisoner-of-war camps and labor camps, with the exception of the camp Klooga in Estonia (where a similar bungled attempt to cremate the bodies of about 2,500 inmates massacred in September 1944 took place as the Red Army was approaching), of Jewish labor camps in the Lublin area liquidated in the course of Aktion Erntefest (Operation Harvest Festival, the largest single Nazi massacre of Jews, in which an estimated 42,000 people were shot within two days), and of the Janowska and Maly Trostinec camps, which also functioned as places of mass extermination. If, as Mattogno surmises, concern about the Soviets using for propaganda purposes "mass graves full of corpses dead of disease or malnutrition" (as opposed to victims of mass shooting or gassing) was a reason for cremating the bodies of camp inmates in open pyres, then why were the corpses of Soviet prisoners of war at a number of camps in the occupied Soviet territories where there were tens of thousands of them, victims of executions, starvation or exposure, not removed by incineration? 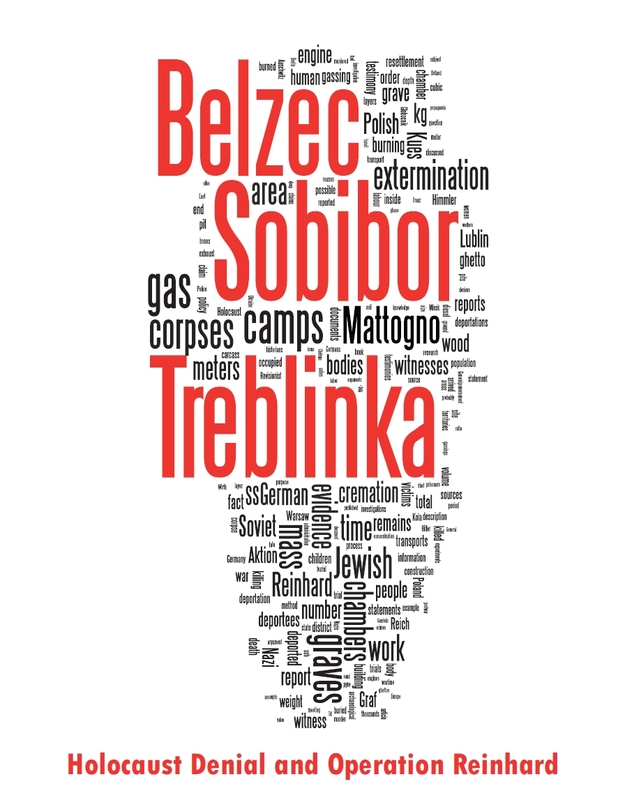 Why were the corpses found by the Soviets or Poles at Treblinka I labor camp not removed by incineration? Why would the Germans at Bełżec (and for that matter at Sobibór and Treblinka II) make an effort they obviously didn’t consider necessary at Treblinka I, in the face of considerations that, according to Mattogno’s theory, would have been exactly the same? At many a Nazi massacre site in the occupied Soviet territories the bodies were not destroyed for lack of time or because the graves could not be found by the Aktion 1005 disposal squads. But neither of these problems existed at Bełżec, Sobibór and Treblinka. Unsurprisingly Mattogno skipped this issue in his response to my first critique. Unless I missed something, the question why the victims were cremated is neither addressed in MGK’s Sobibór book. 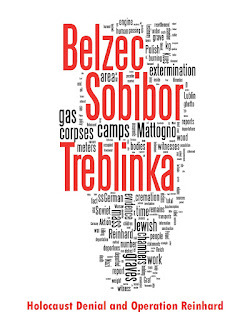 Contrary to the claims of Mattogno, Graf & Kues, there is no reason to assume that cremating the bodies of the people murdered at Bełżec, Sobibór and Treblinka would, namely as concerns fuel requirements, cremation times and disposal of cremation remains, have presented insurmountable problems or required a logistical effort incompatible with the evidence. There is also no incompatibility between the historical record of mass cremation and the density of cremation remains found in archaeological investigations. Mattogno, Graf & Kues dedicated their Sobibór book to the late German right-wing extremist Jürgen Rieger. I dedicate this blog series to two children gassed in Treblinka on 5 October 1942, Guta and Abus Strawczynski. M&G, Treblinka, p. 150; Mattogno, Bełżec, pp. 86 f.; MGK, Sobibór, p. 148. On p. 136 of the Sobibór book MGK refer to a source according to which the burning of wood results in about 6-10 % ashes on average. Having assumed the use of fresh wood for their Sobibór calculations of wood requirements, MGK generously assume the lower value "because it is fresh wood, very rich in water" (p. 148). See for instance Mattogno, Bełżec, p. 86. The former table uses the amounts of dry wood per corpses from Table 3.21 in section 3, the latter the fresh wood amounts from Table 3.22. The average life weights of corpses are from Table 3.3 in the same section. The wood weight percentage of cremation residue considered is 8 % for dry wood and 6 % for fresh wood. The volume calculations from the weight of residues are based on the data about the specific weight of human and wood ashes provided by Mattogno. Regarding the grave volume figures for Bełżec and Sobibór in column 10 see the blog Mattogno, Graf & Kues on the Aktion Reinhard(t) Mass Graves (1), tables 2.1.1 and 2.2.1. The Sobibór volume is the volume of graves nos. 1 to 6 corrected for sloping (12,746.50 m³) plus the volume of the small pit called grave # 7, which had an area of 30 m² and a depth of 0.90 meters, thus a volume of 27 m³ (no correction for sloping required due to the low depth, sum of volumes rounded upward to next full cubic meter). The grave volume considered for Treblinka is the volume required to bury 721,555 corpses at a density of 12 corpses per cubic meter (see the blog Mattogno, Graf & Kues on the Aktion Reinhard(t) Mass Graves (3)). Environment Agency North West Region Area. Extracts from Submission to Cumbria County Council’s Inquiry into the Foot and Mouth Crisis, section 5.2.4 on page 13, quoted in MGK, Sobibór, p. 135, Fn. 394. Sleepers: the larger of the two types of new oak railway sleepers sold by Timber2you weighs 80 kg and has a volume of 2.4 x 0.225 x 0.125 = 0.0675 cubic meters. A European railway sleeper, as considered for the wood equivalent calculations in the blog Carlo Mattogno on Belzec Archaeological Research - Part 4 (2), has a higher volume (0.0975 m³) and is assumed to have a correspondingly higher weight. 380 such sleepers are held to weigh (380x80x0.0975÷0.0675) = 43.911 kg. Pallet: wood pallets sold by ULINE weigh up to 100 lbs = 45.36 kg; 250 pallets would thus weigh 11,340 kg. Residue of coal was estimated as the quotient between 130 million tons of coal ash generated by the United States each year and the US coal consumption in 2008 according to the EIA’s Table 11.15 World Coal Consumption, 1980-2008, which is 1,121 million short tons corresponding to 1,017 million metric tons. Residue of wood and straw was estimated as 10 % according to the webpage Best Management Practices for Wood Ash Used as an Agricultural Soil Amendment. BTU/kg values are from the blog mentioned in note 202, where straw is considered with a thermal value of 6,000 per pound according to the page Round Bale Burner. 1 kg = 2.2 pounds, so the heating value of 1 kg of straw equals (6,000x2.2=) 13,200 BTU. Mercer J.A., Hesketh N., Hunt J., Oughton D.H, "Burning of Carcasses", online. Weight of one sleeper as in note 202; weight of 250 sleepers thus equals (250x80x0.0975÷0.0675) = 28,889 kg. Weight of straw bale considered: 1,500 pounds (heaviest bale according to Andrew’s Hay) = 680 kg, 250 bales thus weighing 170,000 kg. 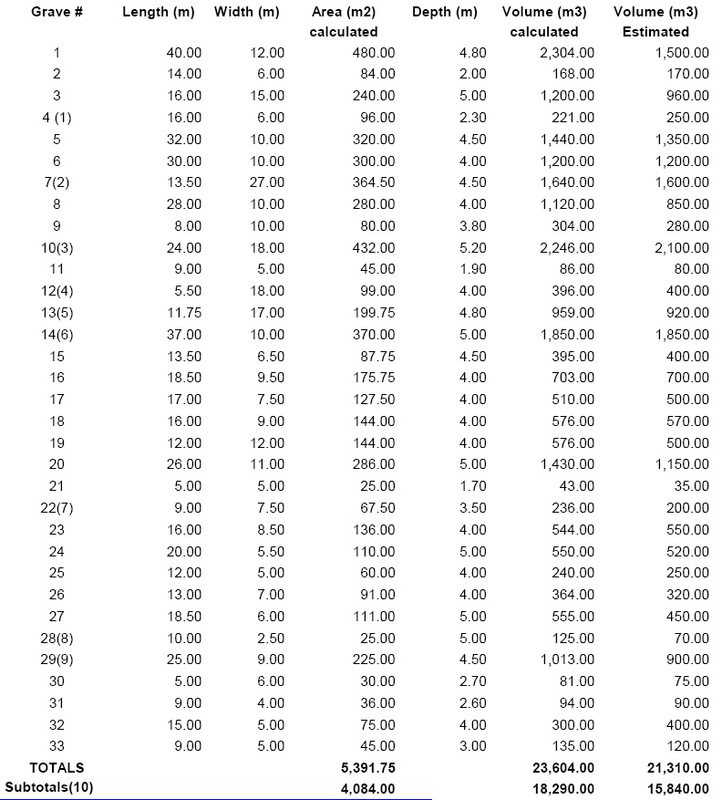 BTU/kg values for calculation of wood equivalent and residue ratios are the same as in Table 5.3 (notes 203, 204). See the blog Carlo Mattogno on Belzec Archaeological Research - Part 4 (2). See the blog Mattogno, Graf & Kues on the Aktion Reinhard(t) Mass Graves (1), section 2.3. Schelvis 2007, p. 112. Inmate witness Jakob Biskobicz mentioned having been ordered by SS-officer Wagner to scatter human ash from the extermination area in the Sobibór vegetable yard (deposition in Tel Aviv on 06.06.1962, translation to German in BAL B162/208 AR-Z 251/59, Bd. VII, fl. 1471 ff. (fl. 1479) - Schelvis file 13, pp. 97 ff. (p. 105). According to inmate witness Kurt Thomas, ash was loaded into barrels and sent to Germany as fertilizer or mixed with unburned coal and dirt and then scattered on the camp’s roads (letter to the Jewish World Congress dd. 3.12.1961, translation to German in BAL B162/208 AR-Z 251/59, Bd. V, fl. 1024 ff., fl. 1044 - Schelvis file 20, pp. 64 ff., p. 83). Bystander witness Bronislaw Lobejko reported having learned from Ukrainian guards that the human ash was mixed with gravel (Schotter) from locomotives (?) and scattered upon the camp’s roads and paths, whereas unburned bones were crushed by Jewish inmates with hammers and then mixed with grit (Kies) – see Lobejko’s deposition before judge Zielinski in Olesnica on 08.01.1946, as note 24. According to bystander witness Jan Piwonski, the corpse’s ashes were taken out of the camp by train (deposition in Chelm on 10.11.1945, translation from Polish to German in StA.Do Sob 85 PM III NO 109, page 5 of the interrogation protocol – Schelvis file 22, pp. 54 ff., p. 58). Report of Rudolf Reder regarding Bełżec – BAL B162/208 AR-Z 252/59 Bd. II, fl. 258 ff., p. 286 (Schelvis file 8, pp. 60 ff., p.88). Reder referred to conversations he had with local inhabitants after the area was occupied by the Soviet army. Kola, Andrzej (2000) Bełżec: the Nazi Camp for Jews in Light of Archaeological Sources: Excavations 1997-1999, Warsaw-Washington, The Council for the Protection of Memory of Combat and Martyrdom and the United States Holocaust Memorial Museum (hereinafter "Kola, Bełżec"), page 20. Mattogno, Bełżec, p. 87. Regarding the dishonesty of Mattogno’s claim that the samples in Prof. Kola’s book are the only relevant core samples from mass graves, see the blog Mattogno, Graf & Kues on the Aktion Reinhard(t) Mass Graves (2), section 3.2. Mattogno, Controversie, pp. 48 ff. ; Mattogno, Controversy. See the blog Belzec Mass Graves and Archaeology: My Response to Carlo Mattogno (4,3). Mattogno’s translation of Godzieszewski’s report is reproduced in the blog Mattogno, Graf & Kues on the Aktion Reinhard(t) Mass Graves (1), section 2.1. Mattogno, Controversie, p. 50, footnote 158; Mattogno, Controversy; commentary in the blog Belzec Mass Graves and Archaeology: My Response to Carlo Mattogno (4,3). Mattogno, Controversie, pp. 52 f.; Mattogno, Bełżec, p. 89. For discussion of these arguments see the blog Mattogno, Graf & Kues on the Aktion Reinhard(t) Mass Graves (4), section 3.6. Mattogno, Controversie, p. 55; Mattogno, Controversy; for discussion of this claim see the blog Belzec Mass Graves and Archaeology: My Response to Carlo Mattogno (4,4). See the blogs Mattogno, Graf & Kues on the Aktion Reinhard(t) Mass Graves (2) (section 3.2, note 84) and Mattogno, Graf & Kues on the Aktion Reinhard(t) Mass Graves (4) (section 3.7). USHMM, photograph query Klooga. Graphic images! Web pages Janowska and Maly Trostinec. German historian Christian Gerlach (Kalkulierte Morde, pp. 834 ff.) lists a number of POW camps in present-day Belarus with death tolls ranging from about 10,000 to over 100,000. A total of at least 633,000 Soviet POWs perished at these camps – more than the number of deportees killed at Bełżec and Sobibór combined. The same goes for the Bełżec labor camps, see the webpage Belzec Labour Camps. See also Jonathan Harrison, A Burning Question. Raul Hilberg, The Destruction of the European Jews, student edition, 1985 Holmes & Meier, p. 153; see also Dr. Nick Terry, Mass Graves in the Polesie, and my blogs Neither the Soviets nor the Poles have found any mass graves with even only a few thousand bodies … and Drobitski Yar. As pointed out in the blog Belzec Mass Graves and Archaeology: My Response to Carlo Mattogno (5,2).